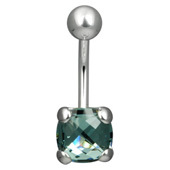 Treat yourself to a gorgeous new look with a blue belly piercing bar. These blue belly bars will brighten up your look and they come in a huge range of designs. 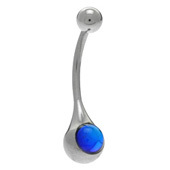 I think a blue belly piercing bar is a great choice because they are really eye-catching. All the bars featured below really stand out, perfect for showing off your piercing. 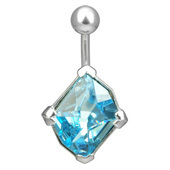 I love blue jewelled belly bars because they look glamorous but not overly girly. Donâ€™t get me wrong, I love a cute pink belly bar, but sometimes pink AND sparkly can be a bit much. 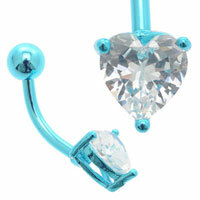 These blue belly piercing bars are cute and pretty but not too sweet, perfect for not-sot-girly girls like me. There is a wide range of jewelled blue belly piercing bars available online but if you want really glamorous sparkle I recommend a Swarovski crystal belly bar. Swarovski crystals are excellent quality and they will not fade or dull over time, so your piercing will look amazing every single time. 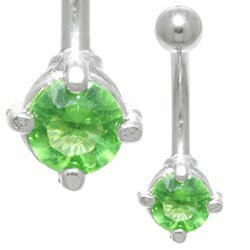 This entry was posted in Belly (Navel) Piercings, BioFlex Body Jewellery, Navel Bananabells and tagged Belly Piercing, Belly Piercing Bar, Belly Piercing Bars, Belly Piercing Jewel, Belly Piercing Jewelled, Belly Piercing Jewellery, Belly Piercing Jewels on August 16, 2010 by Piercing Guru.